Seven cities in Hidalgo County will consider resolutions opposing the border wall Tuesday, the same day Congress reconvenes to decide before the month’s end how much money, if any, to allocate for the president’s proposed wall. 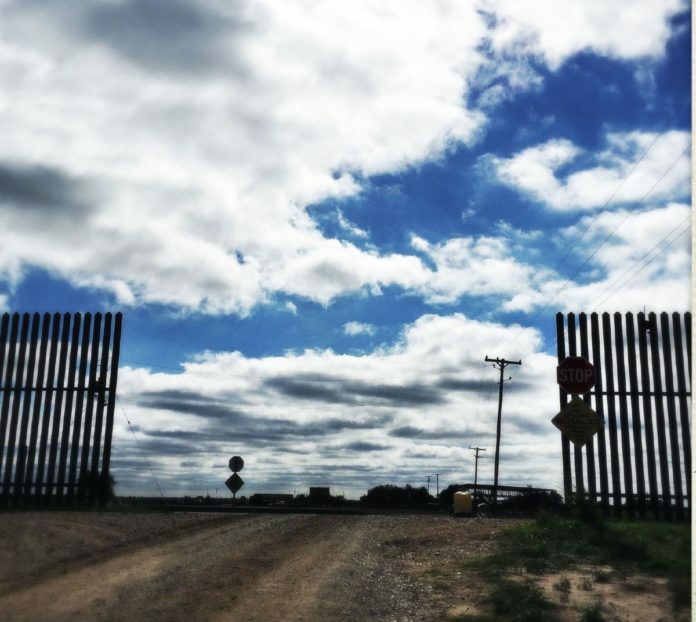 Local elected municipal officials in McAllen, Edinburg, Pharr, San Juan, Alamo, Palmview and Sullivan City will discuss and take possible action on resolutions opposing the construction of new border walls, levees and fences along the U.S.-Mexico border. The resolutions stem from connections activists and concerned residents made during the Aug. 12 protest at La Lomita Chapel against the construction of a southern border wall, said Flor Martinez, a University of Texas Rio Grande Valley grad student and Lower Rio Grande Valley Sierra Club member. In the days following, organizations hosted community meetings to plan anti-border wall resolution campaigns in cities across the county. Martinez attended one of these meetings, where she met other Edinburg residents, and teamed up to draft a resolution to present to Edinburg city leaders. The group modeled their resolution after similar measures passed by other cities, such as Brownsville, while making sure to tailor it to their city specifically. “The city of Edinburg emphasizes inclusiveness and diversity, and welcomes those who seek to build a life and raise a family… (and) we do not abide by the bad press and negative connotation that this wall brings,” the resolution states. While Martinez is pleased with the resolution the Edinburg City Council is considering, some in McAllen are asking commissioners to strengthen the language surrounding the levee walls in the resolution on the city commission’s agenda. The resolution states “the existing levee walls that are necessary for flood protection in our region are being repaired regularly and need to be improved” — language that leaves room open for future levee border walls, according to Clarissa Riojas, a public school teacher and Sierra Club member. “This was striking for us given the fact that Mayor Darling, in July, rescinded a letter he wrote to (then) Department of Homeland Security Secretary John Kelly in February stating his support for levee walls,” Riojas said. In the July letter, McAllen Mayor Jim Darling explained he had been “under the mistaken belief” that walls were needed on the levees to meet FEMA certifications. But Hidalgo County’s levees do not need to be rehabilitated, Riojas said, because they have already been certified as meeting FEMA and U.S. International Boundary and Water Commission criteria. Riojas is hopeful the commissioners will take the concerns into account and will be open to revising the text of the resolution before casting their vote. “We feel that McAllen needs to be at the forefront of this movement and needs to be leading this movement,” she said. Last month, Mission, La Joya and Welsaco passed resolutions against the construction of new border walls in Hidalgo County, and the Hidalgo County Commissioners Court did the same in May. Martinez said she hopes that — after seven more cities could potentially join this list by the end of Tuesday — members of Congress will take the Valley’s concerted efforts into account when deciding to appropriate money for the president’s wall.